This case follows the premolar post below, and highlights the importance of treating complex endodontic anatomy. 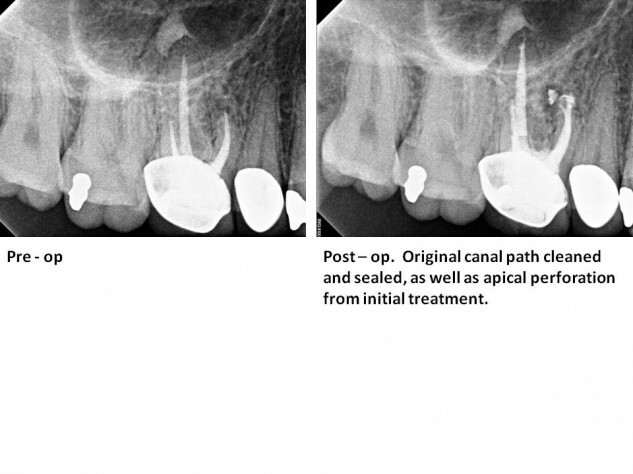 Leaving canal branches untreated can lead to endodontic failures. When retreating a case like this, it is beneficial to locate the missed anatomy. 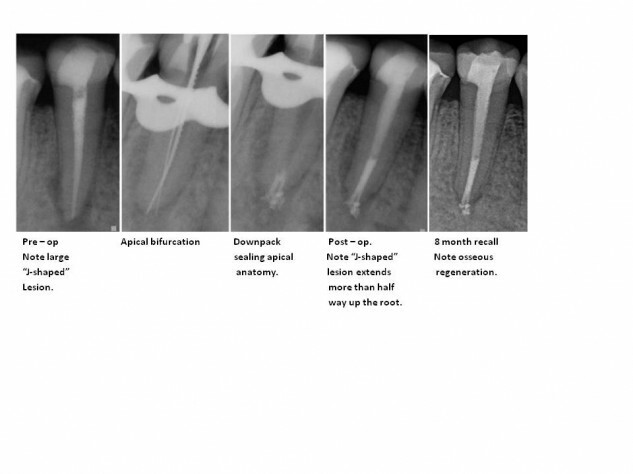 Shaping a tapered apical preparation will aid in the disinfection and obturation as well. Warm vertical compaction techniques help to obturate these spaces when the heat source can be carried down to 3mm from the canal terminus. Below is another retreatment case, where the original RCT failed because apical anatomy was not addressed. 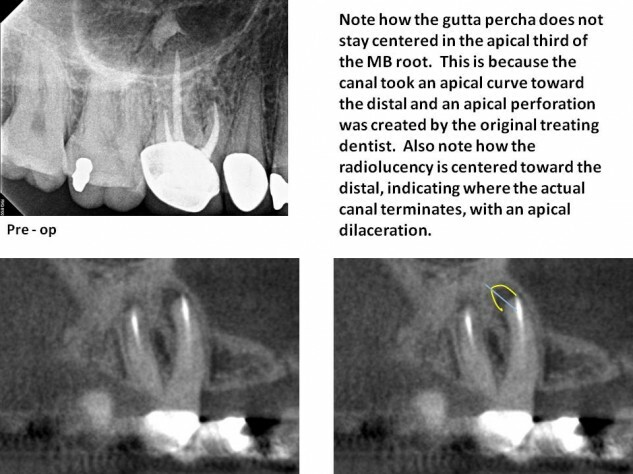 It is an example of how CBCT helped to determine that an apical perforation had occurred, and the location of the actual canal. Again, failing to treat this complex apical anatomy contributed to the original treatment failure.